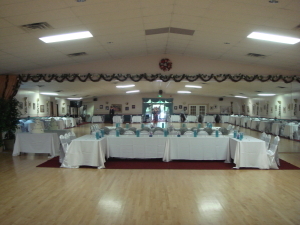 Starlite Ballroom (7500 sq ft.) is a beautiful place to hold your next social gathering. 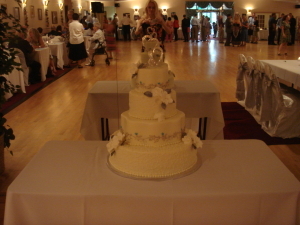 It is perfect for Weddings, Receptions, Birthdays, Reunions, Graduations and other Special Events. 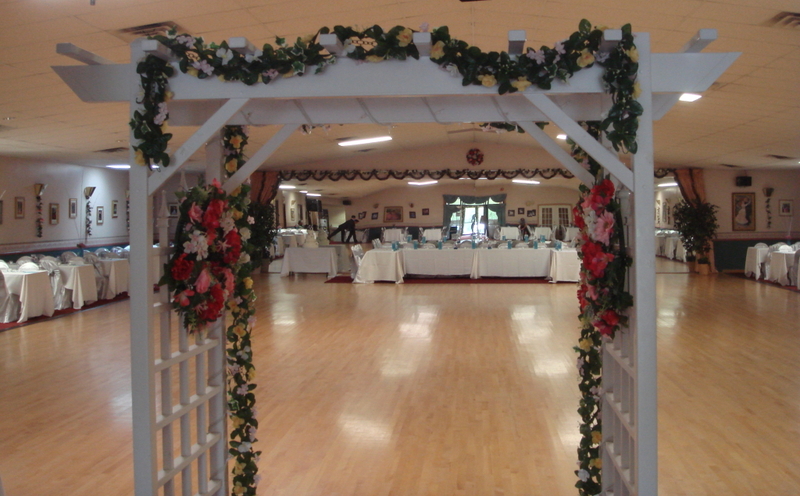 Our main, big ballroom (4560 sq.ft) features a huge hardwood dance floor, an entire wall of mirrors, a decorated archway to enter the ballroom, and fabulous lighting which includes dimmers that may be adjusted at your convenience. 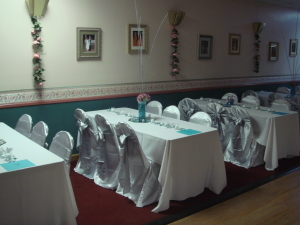 Our elegant ballroom can seat up to 140 people with tables of 6 all the way around the dance floor on the carpeted area. Our facility also has a full functioning kitchen, bar area, and a second ballroom where you can arrange for buffet type dinners or use for any other purposes. You can view pictures of our beautiful space in our Picture Gallery. If you would like to store small items before or after your event – $20.- a week only! We look forward to hosting your next event and being part of your special occasion! Please call us at (317) 430-5029 to book your date!